The Marin Senior Fair is the Northern California’s largest and most popular senior event, hosting over 2,000 attendees and over 130 exhibitors each year. Exhibiting is an effective way to reach senior audiences, their caregivers, and their families. Your presentation of products, services, opportunities, and activities pertinent to older adults is the heart of the Fair. At this unique fair, we welcome, inform, engage, and entertain seniors. Attendees include people in retirement, and folks who are planning theirs. Caregivers and family members from all over the Bay Area are attracted to the Fair. Become part of this popular, well-publicized event. Many exhibitors offer free giveaways, healthful treats, and drawings in their booth. This year's theme is Viva Marin Seniors!, What Happens at the Fair... Featuring Vegas-style activities, costumes, booth decorations, and entertainment. Exhibitors are encouraged to decorate their booths and wear costumes supporting the theme. It is you, our imaginative exhibitors, that are the stars of the event. Come up with your most creative, colorful and informative booth decorations to celebrate the theme. Spectacular booth presentation ideas are limitless! Use your imagination. Prizes are awarded for the The Best Decorated Booth, The Most Informative Booth, and The Best Overall Booth. The Marin Senior Fair is promoted through newspaper ads that run in the Marin IJ, Pacific Sun, and nine Marinscope newspapers. A special 18-page color supplement is also distributed with the Marin IJ. This supplement, which lists all of our exhibitors, goes out to 20,000 homes on the Sunday before the fair. 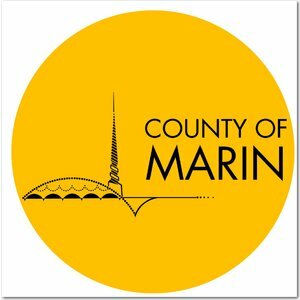 In addition to newspaper ads, approximately 10,000 print flyers are distributed and posted in Marin. When you sign up to exhibit, you can request a quantity of these free color flyers to distribute at your place of work or to mail to your clients. A PDF of the flyer is also available for distribution. Your organization is also featured on our Exhibitors page of this website. The Marin Senior Fair offers many opportunities for Advertising and Sponsoring. In addition, the Marin IJ offers advertising space in the supplement to the Marin IJ that is distributed to 20,000 homes. Information about advertising in the supplement is provided after you apply to exhibit. Exhibitor Applications will open on May 1. Check back here.